There was a full house today at Danville’s Robert E. Jones Municipal Building as six new firefighters were sworn in. 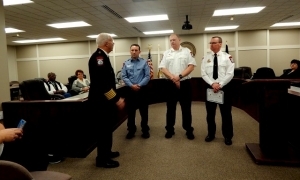 And that ceremony was followed by two others – one involving the promotions of three firefighters and another swearing-in a probationary new police officer. 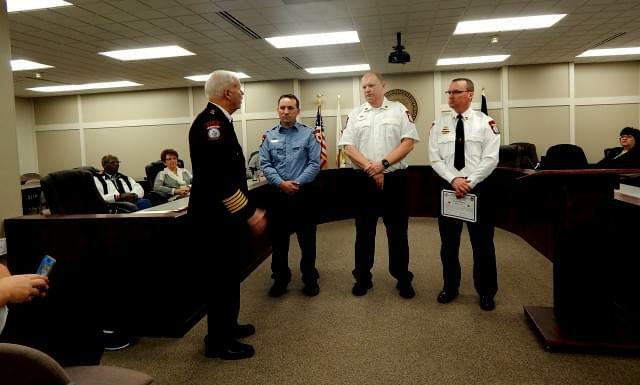 Brian Hogg, President of Danville Firefighters Local 429, is thrilled to see six new firefighters coming on board…. Danville Mayor Rickey Williams Junior noted the new recruits are joining a family of firefighters…. Danville Public Safety Director Larry Thomason was asked what he expects will happen when the federal SAFER grant money runs out in three years…. Director Thomason also noted two more firefighters will be joining the division at the end of the month to replace two who are retiring. 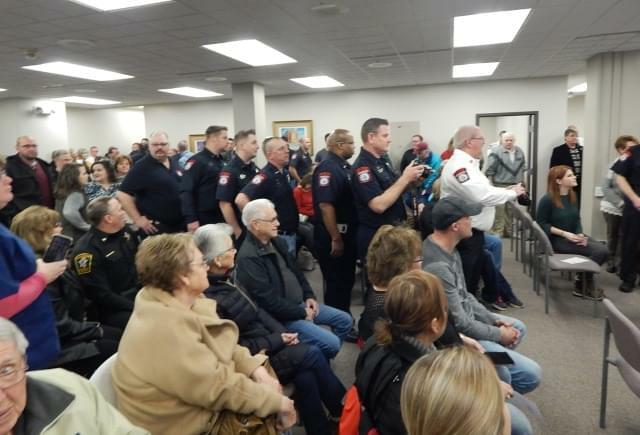 Friends and family members of the six new firefighters packed the city council chambers for the ceremony.